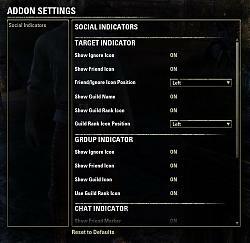 This addon allows you to easily recognize friends, guild and group members in game. Many thanks to Jeza and Ayantir for the French translation! fixed compatibility issues with pChat and No, Thank You! This update is the first step towards version 2.0. I decided to break it down into smaller pieces as the old code was no longer working and version 2 is not completely ready yet. Hi, if you can respond to Japanese, I would like to ask for a translation. Hello! I don't speak Japanese, but if someone can provide a translation, I will gladly add it. The text resources can be found in Localization.lua. Hey, if anyone checks this thread, I'm looking for the functionality this add-on provided. 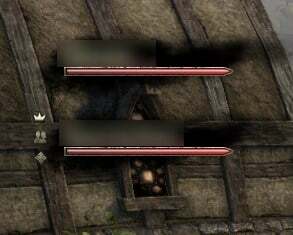 With Morrowind, possibly earlier, it no longer seems to function, although it also does not produce an error. Nothing happens, at least if my expectations are correct, that it marks your guildmates somehow while playing. If the add-on is unmaintained, is anyone aware of an alternative? Bumping this, it's quite annoying. Hey. I haven't had time to update it yet. You can delete line 205 in NameIndicators.lua (InitializePlayerStatusMessageWorkaround()) to stop it from happening. @QuadroTony Have you tried Guild Invite Continued? It does exactly what you want. and yo usaid Advanced Guild Roster abandoned too? 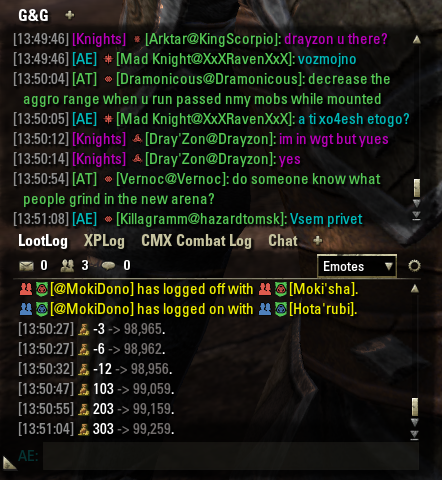 Right now your prehook of EVENT_FRIEND_PLAYER_STATUS_CHANGED overrides the same prehook of No, thank you, so even though the later one tries to suppress friends online/offline notification, your addon forces them to appear. I think the easiest (but not the best) solution would be to add an option in Social Indicators whether to apply itself to friends status messages. But i think something has to be done, since right now it's a source of both confusion and frustration. Last edited by dorrino : 06/09/16 at 02:28 PM. Can you show me a screenshot? It shouldn't touch the color of the name at all. See the top chat window, I have different colors for each guild. The issue is an incompatibility with pChat's color feature. 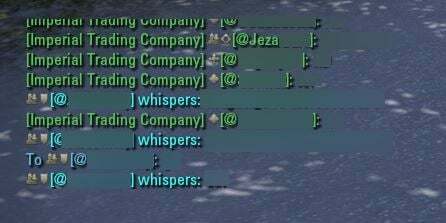 You can avoid it by setting the chat channel colors in the ingame social settings to the same color you use in pChat until I have a proper fix. Any way to tweak settings to make this compatible with AUI? I love Social Indicators, and trying to figure out how to make it appear in the target frame properly. Unfortunately there is no "tweak". AUI and other similar addons implement their own target frame controls, instead of reskinning the vanilla target frame, which means they would also need to provide the necessary icons. 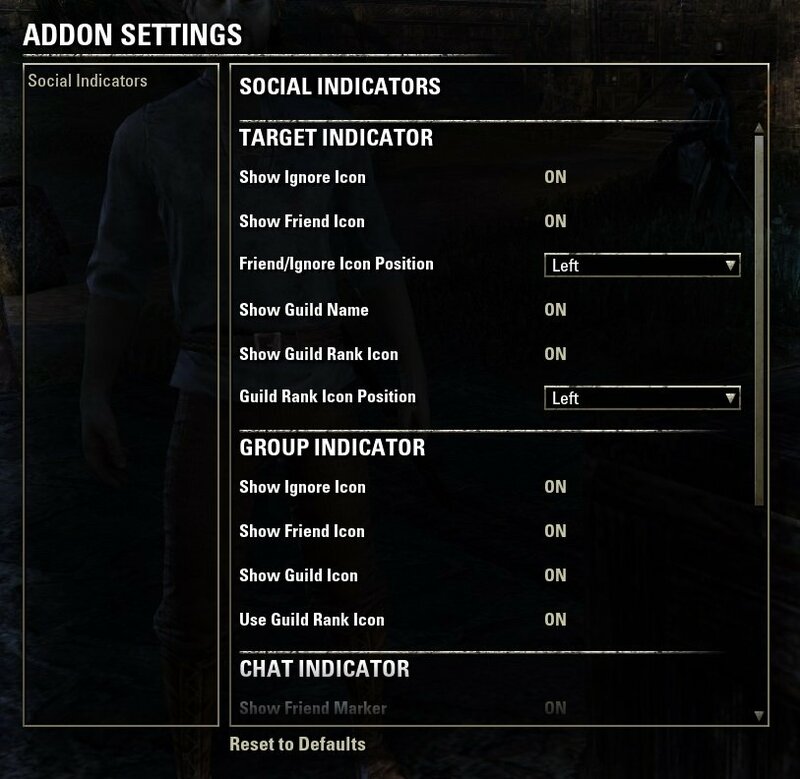 SocialIndicators does provide an undocumented API that would allow them to easily know for which players the icons should be shown then, but with the current state of these addons (almost all of them are more or less abandoned) I don't expect anyone to implement it. It's coming along nicely, but not ready yet. There are still more than 18 tasks open that I need to finish before I can upload it. Have this little sneak peak on one of the major features instead. This looks amazing, can't wait! Last edited by IcyDeadPeople : 06/05/16 at 03:43 PM. Is there a way to disable it from changing the color of player names? I'm using pChat for coloring it all and this addon changes it back to the default color I guess. That really keeps me from using it, as too many colors burn my brain a bit. Apart from that this addon seems amazing. Ok, so it seems like it needs cooperation from both pChat and this addon for it to work... Hope to see it soon. For anyone having the same issue, the way I "solved" (poorly) it was by changing the vanilla chat colors to match the custom pChat ones. That works kinda fine.